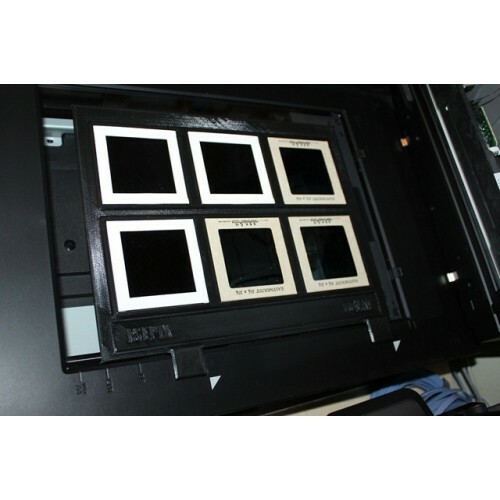 This film holder is designed for 60mm slides and is compatible with the Epson Perfection V700 & V750 scanners. This 3D printed film holder is made from super durable PLA, and perfectly fits a maximum of SIX 60mm (physical dimensions 69mm x 69mm) slides. The film holder fits in the same alignment holes as the factory film holder as shown in the included photos. 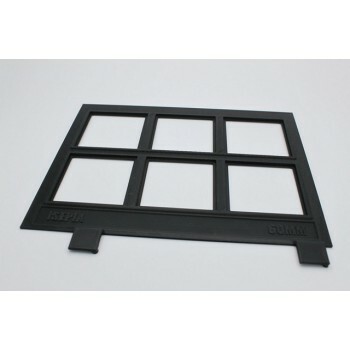 This tray is designed to be an area guide for consistently placing 60mm slides on your scanner always in the same location. 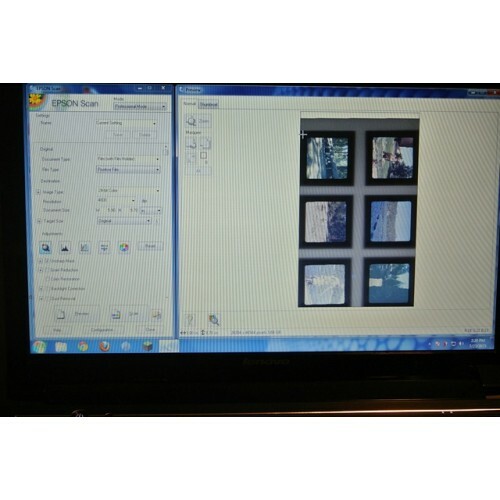 Allows for static selection areas while scanning. In order to improve your workflow, order two so that you can load one tray while you are scanning the other.